Here at Applegarth we specialise in the design and installation of solar panel systems, for domestic and commercial use, in Wirral and the surrounding areas. Solar panels turn sunlight into electricity, which can then be used by homeowners or businesses to reduce the amount of electricity they use from the grid, therefore lowering their energy bills. Our team of engineers can install both roof mounted solar panels and ground mounted solar panels, in Wirral. We are also a fully accredited solar panel installation company under MCS (micro-generation certification scheme). In recent years the popularity of solar panels has increased. This is due to people becoming more aware of the environmental benefits and how much it can reduce energy bills. The introduction of the government feed-in-tariff scheme has also contributed to the increased popularity of solar panels. The feed-in-tariff is a government scheme designed as an incentive to promote the up-take of renewable energy technologies, such as solar panels. The scheme was launched in 2010 and is open to households and community groups in England, Wales & Scotland. Financially, the feed-in-tariff pays you a set rate per KWH of electricity produced by your solar panels. You can get an additional rate for any extra energy your solar panels produce and put back into the national grid. You will receive payments quarterly, from your electricity supplier, for the electricity your solar panels have generated and exported. Reduce your energy bills – Solar panels can generate electricity, even on cloudy days, therefore reducing your electricity bill. Reduce your carbon footprint – Solar panels generate green renewable energy. They do not produce carbon dioxide, therefore reducing your impact on the environment. Make money – Under the feed-in-tariff scheme you can sell any extra energy your solar panels generate back to the national grid. 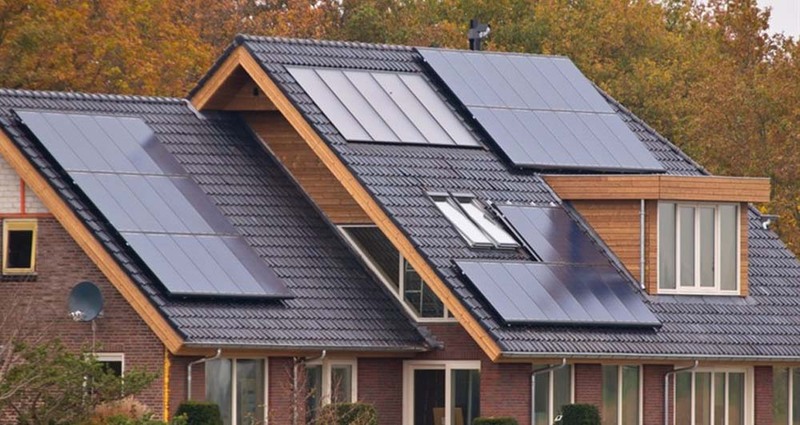 Low maintenance – Solar panels don’t require much maintenance. You only need to ensure that they are kept relatively clean to ensure the sunlight can reach the solar cells. If you are interested in our solar panel installation service, or have any questions, call us on 0151 649 8350. Alternatively, you can email us at info@applegarth.co.uk. We install domestic and commercial solar panels in Wirral and across the surrounding areas.